We welcome our alumni and friends to partner with us on recruiting, research collaborations, and philanthropy to uphold our rankings and global reputation as a leader in computer science education and research. Learn about all the ways you can benefit from getting involved. Illinois Computer Science has developed programming throughout the year to engage and inspire more young people to explore the fun and diverse applications of computer science. All of these outreach activities are funded by the CS Department, alumni donations, and corporate partners. To get involved, email cs-outreach@illinois.edu. Keep your skills on the cutting edge. 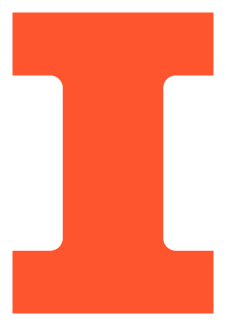 Explore the CS Graduate Programs, Illinois Online offerings, or MOOCs through the Illinois-Coursera Partnership. The CS-Affiliated Student Groups are strong and as active as ever. They are eager for alumni to stay involved, and welcome corporate partners to participate in events. Keep the Illinois Computer Science Alumni Network strong—attend or host a regional CS alumni networking event in some of our high alumni population cities across the country. We have plans to be in Chicago, New York, and San Francisco on regular cycles. Keep an eye out for e-invites. Make sure your contact info is up-to-date with us! Schedule a custom Engineer in Residence experience where you can meet with faculty, give a presentation, attend or speak in a class, meet with student groups, and tour around the newest areas of campus. Email Michelle Wellens at mwellens@illinois.edu to schedule your campus visit today. We encourage alumni to connect their companies to Illinois Computer Science to establish recruiting relationships and to explore sponsored research opportunities. Visit cs.illinois.edu/corporate to learn more.